Students are the future bright citizens of any country. Each year, new bright students join college and they hardly know how to manage their personal finances. If you ask them about summer camps or what fun they had during their summer, you’d get beautiful answers, which would delight you, but little do they know about their tuition fees or the text book costs. They have very rough knowledge of other expenses like electricity, phone charges, insurance, grocery, and monthly rentals too. They know their test scores, and semester marks, but they do not understand how to save money and its importance! But, when these bright students are trained, they can easily become masters in managing their finances too. For many young people, graduating from an institution of higher education is one of the biggest steps toward adulthood that they have ever made. But what happens when it’s time to go off the beaten path? Navigating the job market, making major purchases such as a car and a home, and figuring out how to pay off all of your debt can be overwhelming at first. But with a little planning and some reflection on what you would like to achieve financially, you’ll be able to clear life’s financial hurdles. Here’s how. Nearly every parent dreams of being able to send their child to college and being able to pay for it. 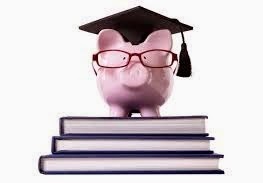 The challenge of saving for a college education can seem like a nightmare to many, but it doesn’t have to be. There are some strategies every parent should keep in mind as they try to save for their child’s education. The sooner the saving begins the better, though it’s never too late to get started. Attending college is a career necessity for most individuals in this day and age, but the expenses involved can lead to serious economic challenges. I discovered first hand just how expensive college can be when I was laid off and began considering returning to school to finish up my Bachelors degree in IT. As a victim of our current recession, I decided to go back to school to complete my degree to make myself more marketable in this tough economy. Going to college is necessary in this day and age if you hope to get a good paying job. However, finding the money to do so isn’t always easy. One method of getting money for college is to take out a student loan from the government. Another is to go a private lending institution, such as a bank or credit union. A third method, and one that is becoming more and more popular, is to get a loan from a private individual. This type of loan is usually called peer-to-peer (P2P) lending. 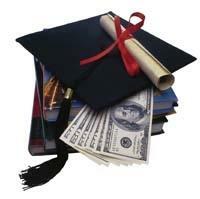 Following are a few options for students who are seeking a peer-to-peer loan. Thousands of graduates is moving towards abyss now-a-days. The reasons behind this are either they are unemployed or under employed which means the job they get barely pay them enough to support their livings. Therefore, the student loans they borrow for studies turns into defaulting student loans. The Department of Education and private loan lenders provide six-months of grace period to the students before they start making repayments on their student loans. This is for giving enough time to the graduates so that they can secure a job and prepare themselves to return the amount. * Tax refunds get suspended. * Credit scores get ruined. * Professional license can be cancelled. * Anymore financial assistance will be dismissed. * Scaring enough, isn’t it? Therefore, you need student loan help.